It seems like recent animated films have been consistently of much higher quality than they used to be. They tell great stories, make the most of their huge budgets by turning out almost photo-real animation, and entertain people regardless of age. Toy Story 3, How to Train Your Dragon, and Despicable Me were all really good films. Not just good kid's movies, but real-deal good films. Rango is another movie that fits into that category. The story of Rango follows the same basic structure as a myriad of movies in the Western genre. Rango is a stranger from parts unknown, obviously not accustomed to life in the untamed great outdoors, who suddenly finds himself in a Wild West town. There are dusty streets, a saloon, liquor, six-shooters, bad guys, and a damsel in distress. 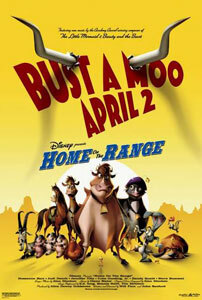 There is a big problem threatening to destroy the town and Rango is the only one who can stop it. He epitomizes the reluctant hero. Rango is a Western masquerading as a kiddy flick, not the other way around. 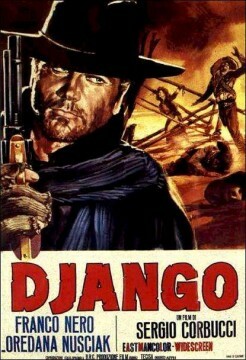 It seems like the movie was pieced together from all the good parts of John Ford and Sergio Leone movies. Rango is just like the Man With No Name walking into a dying town. The shots of the landscape outside of town are strikingly similar to the craggy vistas of Monument Valley. There is a ton of homage paid to the work of these two directors. There is a sequence in the film where Rango is involved in a chase. He's driving a stagecoach being chased by moles riding bats. It is such an action-packed and thrilling scene, and also completely reminiscent of the classic chase in Stagecoach. It is such a joy to see this kind of a scene in a dramatically different way. The only thing in the film that falls a little flat is the lack of emotional attachment to the characters that Toy Story 3 had in spades. There is violence throughout the film, but you never feel as if any of the characters are in real danger. This is both a blessing and a curse. The film can't have as much of a lasting impact on the audience if there is no bond with the characters. On the other hand, this allows for much more grandiose and unrealstic action sequences. The characters are free to act more cartoony and have fun in the face of danger. I was debating as to which of the An American Tail movies to use as the "Good". 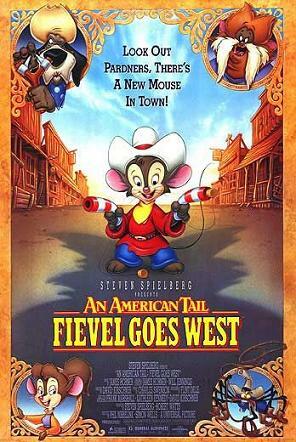 Fievel Goes West is much more similar in tone and plot, while the first movie is simply the better of the two. I would strongly recommend either one, but I've got to go with Fievel Goes West. Don Bluth's animated films are more mature than the others that were coming out at the time, much like Rango is compared with it's contemporaries. I'm a sucker for a good western, and both of these films deliver a great story with plenty of Wild West action. Home On The Range. This is why Disney is hesitant to make more traditionally animated musicals. Roseanne Barr as a singing cow! How could this not have been a hit? I have no idea how this actually got a wide theatrical release.